A handy refill for the Ecover Hand Soap - Lavender & Aloe Vera to ensure that any business never runs out of soap in the cloakrooms. Suitable for all who pass through, even those with sensitive skin, as it is PH neutral and contains lavender scent and aloe vera. 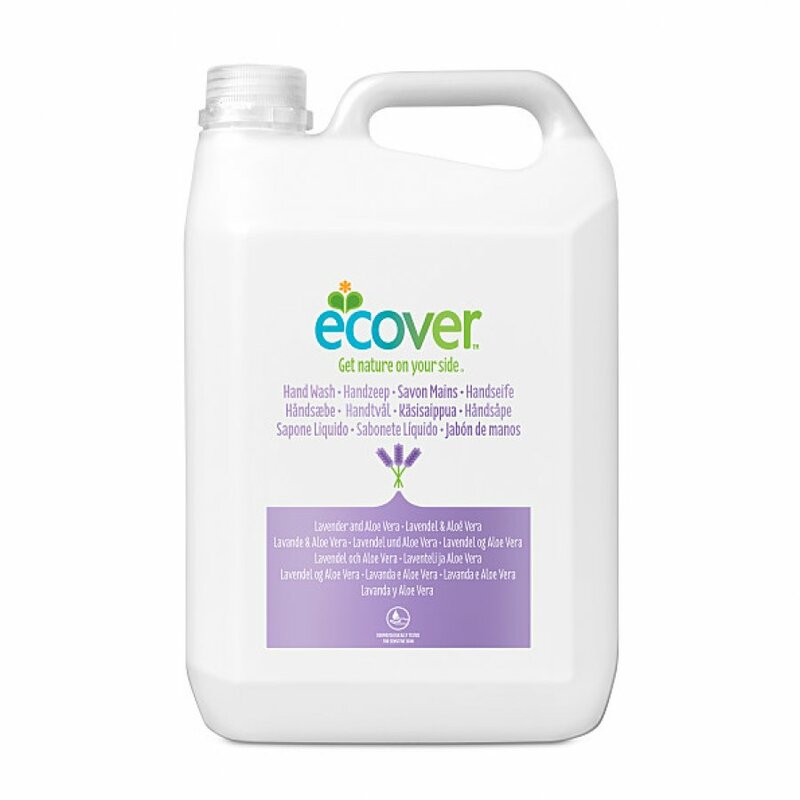 The Ecover Lavender & Aloe Vera Liquid Hand Soap - 5 litres product ethics are indicated below. To learn more about these product ethics and to see related products, follow the links below. Used daily with soap dispenser. Easy to use. I have chosen this product becuase it is biodegradable, and although more expensive than other brands ,worth paying a bit more. Q: Are you going to get an ecover dispenser pump to go with the 5l containers please? 9 out of 16 found this question and answer helpful.